In 1986 I made my first trip to the Indonesian territory Irian Jaya. This was a long and tortuous journey by air involving stopovers in Jakarta and Manado, or the alternate route through Manila, Davao and Manado. I decided to make my first entry through Jakarta as that was the closest entry point to Indonesia from Singapore. So I presented myself at the Indonesian Embassy in Singapore and spent the next hour filling out those lengthy application forms travelers need to get used to as they journey from country to country. Another hour in line and my application papers were deposited, scrutinized and those exhaustive routine extra questions answered at the counter before being told to come back for my visa in two days time. When planning for entries to several countries on an itinerary this can be a time consuming exercise, and in some countries there’s additional need to apply for permits if you wish to visit specially designated areas. Usually this is only where there are insurgencies and those extra permits are for protection of travelers rather than an act of harassment. My entry was through courtesy of Garuda Airlines. The name of that airline intrigued me for Garuda was that large mythical bird, a minor Hindu Deity mentioned in Hindu and Buddhist epics. Throughout the Mahabharata, Garuda is invoked as a symbol of impetuous violent force, of speed, and of martial prowess. Powerful warriors advancing rapidly on doomed foes are likened to Garuda swooping down on a serpent. Wikipedia the online Encyclopedia. So I felt quite safe taking Garuda Airlines for as much of my journey as possible. After two days journey I was at my destination Jayapura, Irian Jaya. My task was to audit and evaluate an aviation program that had received donations of aircraft and funds to run an operation servicing difficult to reach remote areas in the mountains. A one hour trip through high mountain passes by air could supply these remote areas with necessities. The alternative to this was walking and that could take up to three weeks carried up and down the mountain trails to an intended destination. So air transport was a vitally important part of the Irian Jaya economy. Jayapura has limited tourist attraction as reaching there can be a time consuming and expensive exercise. However for those who are prepared to spend the time and money it’s an interesting place of historical significance. The University (UNCEN) campus at Abepura houses the University Museum. Both Tanjung Ria beach, near the market at Hamadi—site of the 22 April 1944 Allied invasion during World War II—and the site of General Douglas MacArthur’s World War II headquarters at Ifar Gunung have monuments commemorating important events. Wikipedia the online Encyclopedia. It was a thrill to see these sites which are important reminders of how much we owe the brave soldiers who facilitated freedoms we enjoy today. In 1945, the Dutch made Hollandia the capital of Netherlands New Guinea. After the territory was handed over to the United Nations, on October 1, 1962, the city became known by the Indonesian name Kota Baru, and retained the name when Indonesia took control, on May 1, 1963. The city was briefly renamed Sukarnopura, after President Sukarno, until the end of 1968, when it acquired its present name. The literal meaning of Jayapura, as of Jaipur in Rajasthan, is ‘City of Victory’ (Sanskrit jaya: “military victory”; pura: “city”). Wikipedia the online Encyclopedia. I was met at the airport by the Base Manager and Chief Pilot and we sped out of the city to their private airstrip close to town which was under supervision of the Jayapura Airport Traffic Controller. He issued permissions for take off and landing, and was the official through which flight plans were lodged. I was then driven to the hanger for an official welcome by the local community and stood uncertainly wondering what this welcome would consist of. Would there be speeches? Would I be expected to respond? Then in a terrifying moment I was surrounded by grass skirted warriors in war paint with all the trimmings. My head spun from side to side considering those sharp spears brandished inches from my face. This welcome was accompanied by thumping drums and war whoops! I’d been faced by enough shocks in my life to learn to control feelings so stood my ground without registering emotion. But I have to confess my heart rate was running at full capacity. The warriors looked disappointed with my response. They grinned, lowered their spears and broke into Bahasa Indonesia, registering further surprise when I looked at the Chief Pilot blankly for interpretation. Shrugging, they mumbled a welcome in English and turned to leave. The Chief Pilot called to them in Bahasa and they turned to look at me breaking out in hearty laughter. “What did you say to them?” I asked with interest. The pilot grinned. “I told them not to be disappointed, their act was excellent and you probably thought they were going to eat you for lunch!” We both laughed. I hadn’t had much exposure to the aviation industry up to this point of time so the next few days were extremely interesting as I learned the language of aviation and became familiar with difficulties faced in sourcing avgas and getting it to distant destinations where it could be available for refueling. Most of aircraft maintenance was done there at the strip, but major engine work had to be sent to Singapore and that always proved to be a headache. An aircraft sent to Indonesia was not permitted to be sold abroad. Aircraft were too valuable a commodity to be allowed out again. But remote as Irian Jaya was in those years it was surprising to see how satellite dishes were readily available bringing free world television programs to the doorstep of this largely undeveloped part of Indonesia. The airport community was well up on what was happening around the world as they watched events unfold on TVs hooked to their satellite dish. In order for me to understand better challenges these planes encountered I took a trip on one of their flights to Wamana nestled up in the high mountain tableland. There were days when flights were not possible as thick clouds made finding that narrow pass through the peaks dangerous. Small planes do carry radar, but pilots in that part of the world like to see where they’re going visually as well as on a radar screen. I was glad to fly with a cautious pilot, but even so reaching the necessary height with a heavy load and negotiating the pass could be a nail biting experience in difficult weather. There is much of that in the tropics and it can come with little warning. But we made our trip safely and landed in tribal territory at Wamana where natives dressed only in the long gourd fitted over their manhood mingled on the airstrip with those dressed in western clothing, each finding nothing unusual in the dress of the other. I was glad for the opportunity to visit on the front line with brave pilots who risk their lives each time they take off to provide a service to the remote villages of Irian Jaya, and enjoyed thoroughly my subsequent visits and fellowship with these flying angels. These adventures of yours Ian, they remind me how little some of us know of the world outside. Do you realize there is still a huge number of Americans without passports? This was fascinating, what an excellent view of the world outside our own. Yes I’ve travelled extensively through the US including some of the remote areas. Many of the people I met had not even travelled around the US and some were even confined to the district they lived in without any interest in travel. But that could apply to any country. I know people in my country Australia who are quite content to base their entire life around the country area they live in. Not so with our youth though, in today’s world they travel the world and don’t seem to worry about taking much money with them as they go sometimes for months at a time. This made me long to be an adventurer – an outstanding story Ian! It amazes me how so many of our young adults after finishing school take time off and just travel. They don’t feel they need a lot of money in their pocket as they travel and in today’s dangerous world it would freak me out not to have specific plans or enough resources with me to see me home safely. But they seem to survive and return home with a new understanding and appreciation for diversity in culture and belief systems. So maybe you could just decide to travel and risk it some day. After my next job ends ( in July of 2015 due to a merger ) – my wife and I are planning on taking three months and spending time in New Zealand, Fiji and Australia – better late than never. As I read this excellent piece, I had a sudden though Ian. Having faced that barrage of welcoming spears and pseudo intimidation, you could have qualified to play against the All Blacks anytime! Maybe, but it better helped me to face my board of directors in various places. They can be just as dangerous. You have an amazing memory and narrate these stories so vividly that one would think that the experiences happened just the other day. It is all new to me and I am enjoying being wowed while sitting in the safety and comfort of my home. Unfortunately my memory at this age is not as it once was. lol. I had the presence of mind to record these events close to the time they happened and have been carrying a wealth of notes around with me for years now. Thank you for continuing to follow my stories and poems. I enjoy your nature posts. We love animals and birds. It brings back memories of the pets we have had over the years. They certainly bring a lot of pleasure to life don’t they? That they do. I really enjoy wildlife. I enjoy following your blog too and reading all your great stories and poems. Thank you Jane. I too enjoy your stories. There is a freshness and honesty about them that I find relaxing. Ian, you never cease to amaze. What a wonderful story – you have had such great times during your life, keep writing about them. I so enjoy them. Thanks Sue. While it was all happening it just seemed like all in a day’s work. Now I’m retired and looking back I can see what an unexpected privilege it was to have those experiences. I can assure you administration is quite stressful and its nice to be settled and no longer constantly travelling and meeting deadlines. 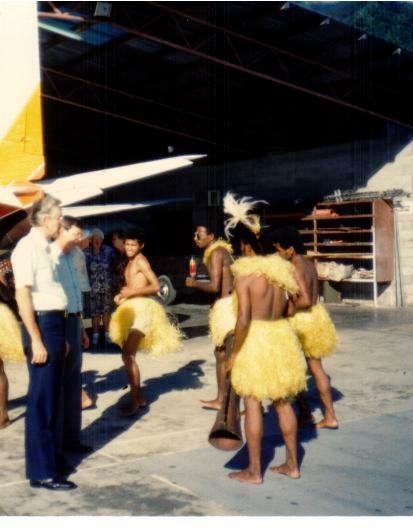 I’ve not visited Irian Jaya but did visit Port Moresby, Papua New Guinea several times – but all on business. My first visit was in 1993 and I can say that much of what you relate had not changed. After all, the people on both sides of the border share the same Melanesian roots. I made some very good Papuan friends in PNG and several of them paid return visits to Singapore. Wherever we met, we had such great fun. Those little snippets you touched on about general aviation, VFR, avgas and weather – all such familiar lingo and good memories of travelling over rough country. I can smell the dried grease, the avgas and smouldering heat of the tarmac. Flying through thick cloud cover – I’ve done this several times in Indonesia – can be scary and throws up renewed respect for the pilots who risk their lives. All in all, a great post and nice sharing. Thank you, Ian. That was my first exposure to flying small planes in a dangerous situation. They had lost a pilot over an ocean stretch some time before. Never found the crash site. I was impressed with the meticulous way pre-checks are done, the care taken with regular maintenance and their regular pilot checks by someone who flew in from the USA to do it, one while I was there. Those pilots are a rare breed. I learned about the dangers of approaching a jungle strip over a chasm where updrafts or downdrafts can suddenly put you where you don’t want to be. Then there is the constant danger of an animal suddenly wandering into the path of the plane as it landed. That was scary! I also learned that in the tropics landing is quite different to landings in the temperate zone.